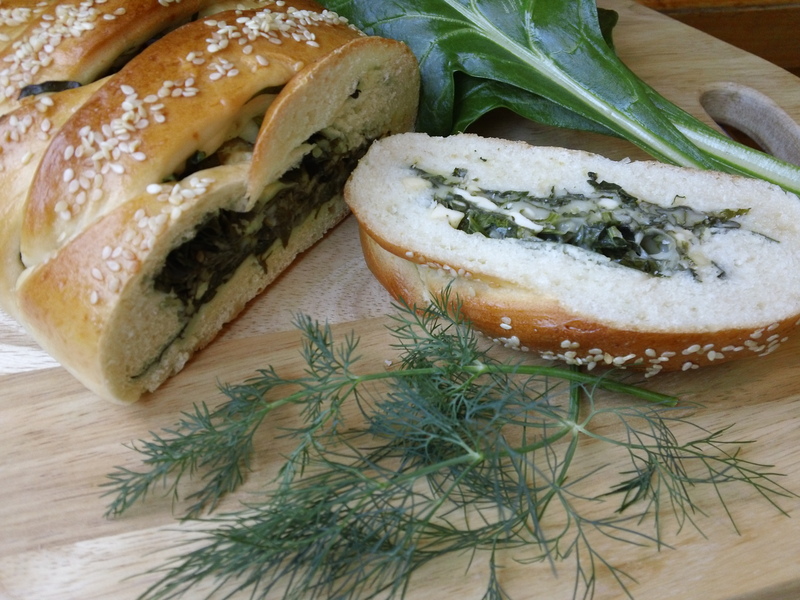 Bread – Food from Home blog! I have one recipe and about 100 variations of a classic soda bread. The original recipe was in a very old cookbook (in ounces and measurements which make me think it was all estimated) I found it in an opportunity shop in Bendigo, country Victoria, Australia ….…(A little travel information for my non Aussie friends). Now Im going to pay it forward. This is my version of a Walnut Soda Bread and it sounds fancy but its oh so easy. Every time I make a soda bread I find my faithful recipe and depending on whats cooking the recipe will be adjusted to compliment the main meal. *Pairing flavours to suit the meal, herbs, walnuts, olives, parmesan or pine nuts these are a few ideas. Today its just simply adding crumbled walnuts as Im going to be serving it with my Greek lentil soup. The addition of walnut will add texture and flavour to the overall meal. Flour, buttermilk, salt, sugar, walnuts and bicarbonate of soda. 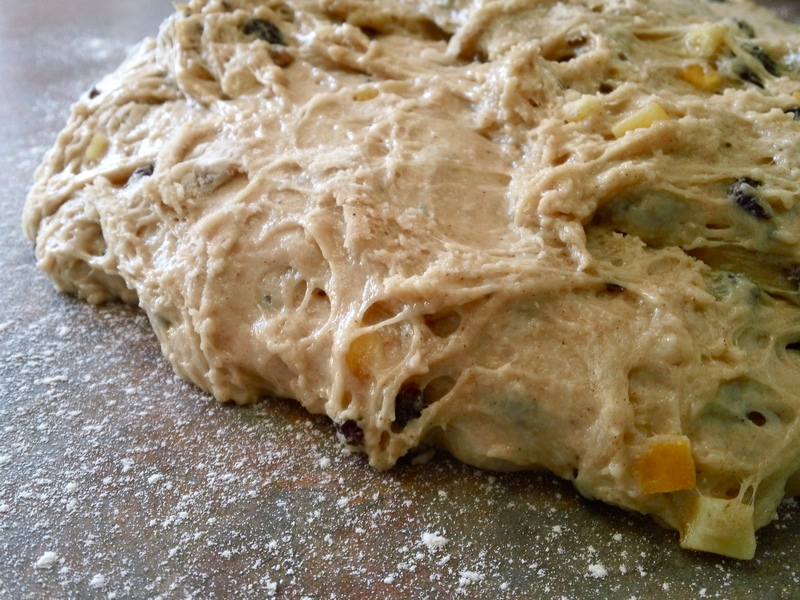 The oven is always preheated and after a little very light kneading, shaping and a dusting of flour and four purposeful cuts to the dough ball its into the oven…..now I hope I didn’t make that sound too complicated. In a bowl add all the dry ingredients and mix well. Dust the top of the dough with flour and cut a cross through the top straight down to the bottom creating four quarters. 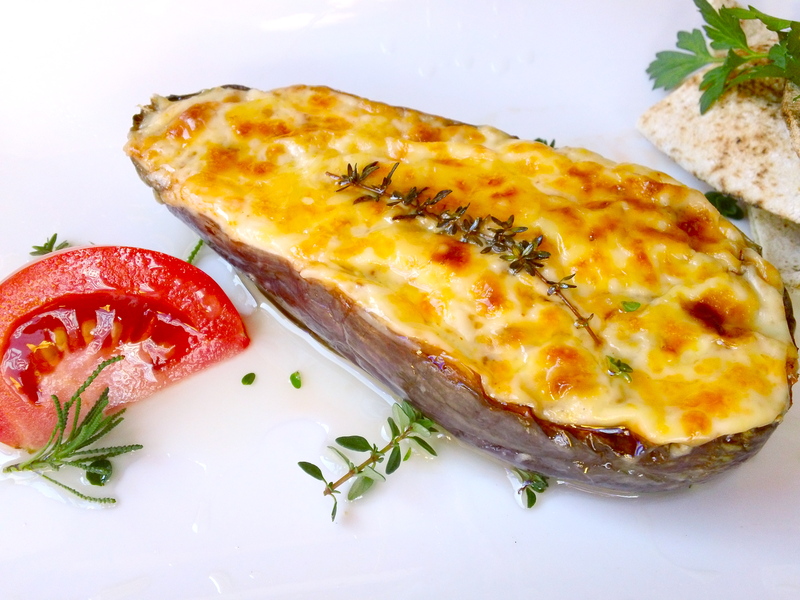 Place into the oven for approximately 35 – 45 minutes. As the Soda Bread bakes it will rise and expand. You want it to have a lovely golden crust on the outside. Once baked cool the soda bread on a cooling rack. *Just a note as you can see from the pictures the extra flour you added over the dough ball before you baked it will NOT necessarily turn golden so look for the baked signs on the expanded surface of the soda bread. Home made bread has to be one of the most satisfying foods. We eat bread morning noon and night as a snack or accompanying an elaborate dinner party or a simple Barbecue. Bread has always been the corner stone of a light or main meal. A staple that even when the pantry is bare bread was enough to sustain the hunger. Some countries are ferociously possessive of the flour and the techniques they use to produce the perfect loaf. That distinctive aroma of a freshly baked Vienna or the sour rustic notes of a crusty heavy sour dough where the smell lingers long after the bread has been devoured by hungry workers or a famished family. 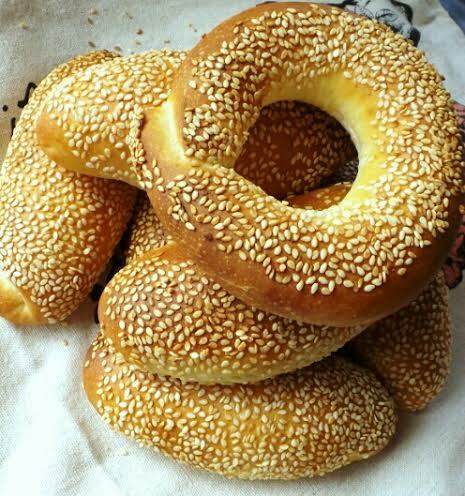 Bread is one thing everyone remembers from their childhood day. Growing up and purchasing a fresh bake from the local bakery where the dough has been lovingly shaped and proved then baked to crispy perfection. As the baker hands you one of his prized possessions he instinctively taps the bottom of the loaf ensuring the distinctive hollow sound is heard, a mark that all is well or rather baked well just before the hand over is complete. Although my recipe has been adapted for the domestic oven, never the less does the technique of making bread change. Add all the dry ingredients and using a standard mixer with the paddle attachment on slow speed mix all. Remove the paddle and now attach a dough hook. On low – medium speed add the butter and begin pouring the water into the flour mix. Add the first 300ml then if required add the rest you really need to feel the dough if its too sticky then naturally do not add any more water or if the dough feels and looks dry then add a few extra tablespoons of water at a time to get the wright consistency. 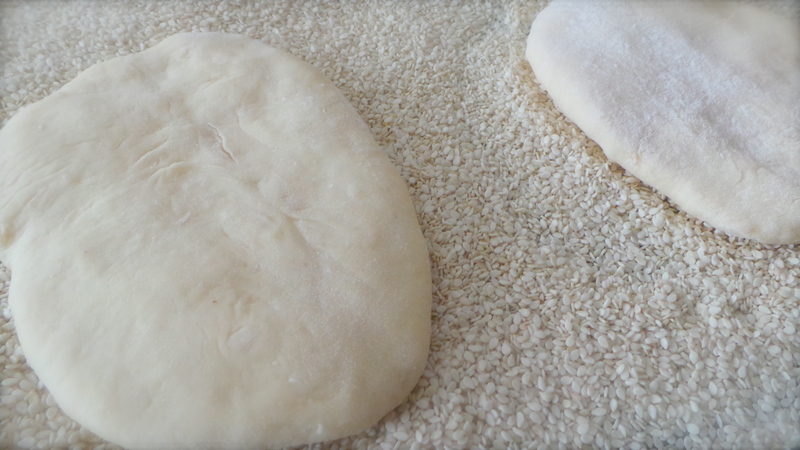 Once the dough has come together, looks smooth in appearance and you are able to do the “Window test” with a small piece of dough, then we are ready for the next stage. Stop the mixer, remove the dough hook and cover the bowl with some plastic, and leave it to rest for 15 – 30 minutes. On a lightly floured surface and a little oil on your hands remove the dough from the bowl shape into the desired shapes making sure you flatten out any large air bubbles that may have formed, place the dough onto prepared pans or trays. If you are using loaf pans then fill the with dough to just over half full with dough. 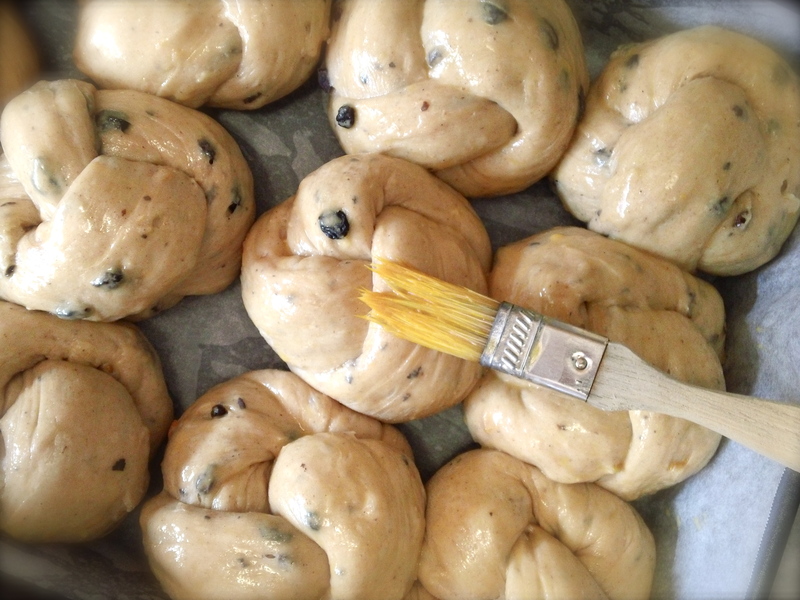 Allow the dough to rest for approximately 30 – 40 minutes in the baking trays or tins. I like to put them in the oven with a cup of boiling hot water in the oven just to create a little moisture in the air as it rests. Then when ready take the dough out put it aside while the oven is heating up. 15 – 20 minutes Before baking Pre- heat the oven up-to 230 Degrees Celsius if your oven permits. Place a deep dish grill tray on any other shelf where it will not interfere with the rising dough. Place the dough on a rack in the centre of the oven and add one cup of hot water from the tap to the grill tray then quickly close the oven door to trap in the steam. 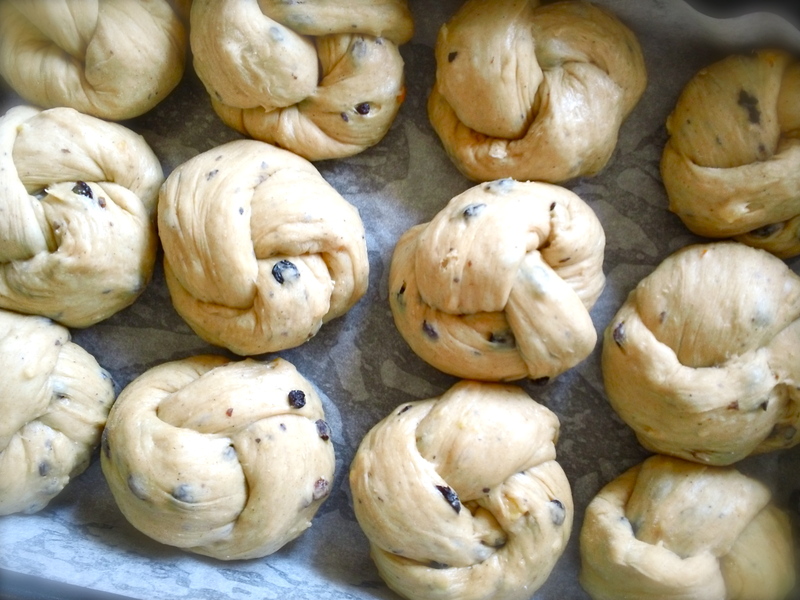 Bake the dough for approximately 30 – 35 minute to a dark golden brown colour. Remove the bread loaf from the pan and allow to cool completely on a cooling rack before slicing. Learn how to put together the perfect combination of vegetables, meat, fresh and dry herbs to make the most delicious Greek cuisine. At the end of class its time for “DINER” so get comfortable and enjoy everything you have made. Only 8 places available per class. *Please note that appropriate clothing must be worn at all times, including closed-toe footwear, preferably no loose garments or extra jewellery. *Please do not make travel arrangements until your class has been confirmed. We do not offer refunds for classes once your payment has been processed. *Please note participants must be 18 years of age or over. *Class outline may be subject to change. 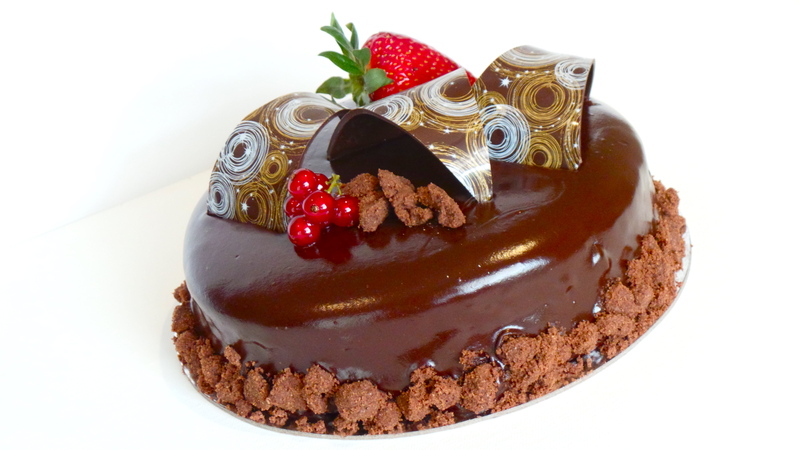 2014 Baking Class will sure put a smile on any chocoholics face with these gorgeous cakes. 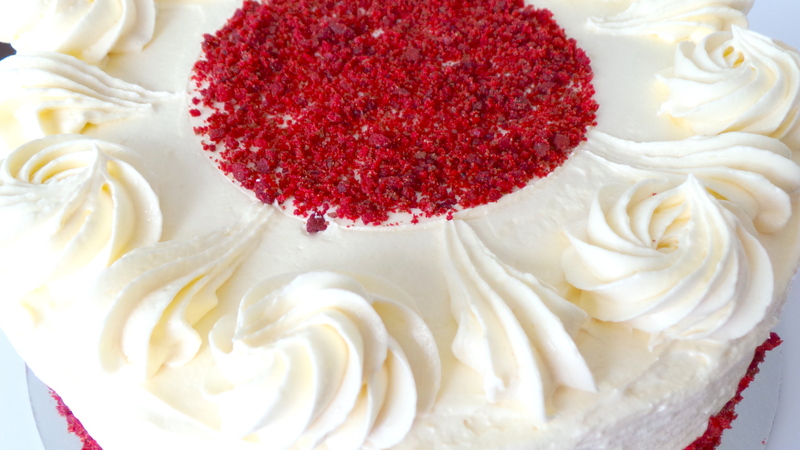 WOW your friends and family make your special event a delicious celebration. Make, Bake, Decorate and at the end of class “Take Home” a wonderful sample selection of everything you have made. 2014 Baking Class will sure put a smile on everyones face with these gorgeous desserts. Learn to make layered cakes to wow your friends and family, make every special event a delicious delight to celebrate. 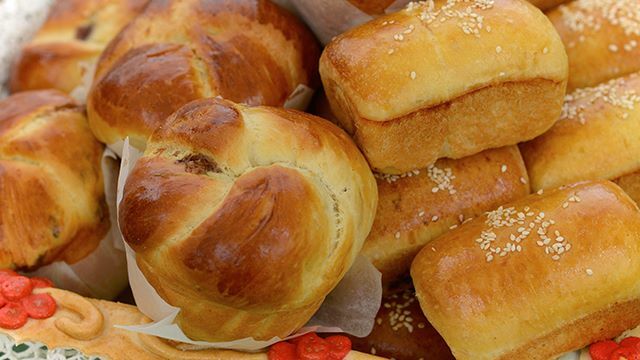 The smell of freshly baked bread, the crunch of crust and texture, it’s no wonder some countries consider it to be their cutlery and a meal without bread would be unheard of. Learn to make a variety of breads in your very own domestic oven. Make, Bake and Enjoy. At the end of class “Take Home” a wonderful sample selection of everything you have made. 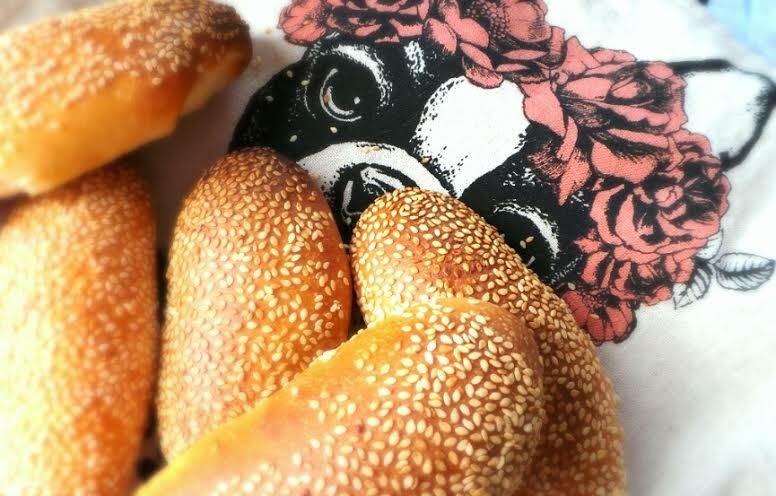 I have a confession to make, and if you haven’t guessed all ready “I love bread”. Fougasse is one of those yeasted doughs Ive seen in books and watched bakers on food networks prepare and serve, Its always intrigued me. I have had it on my to-do list for a while now, I couldn’t think of anything better to make on a grey wet day like today. 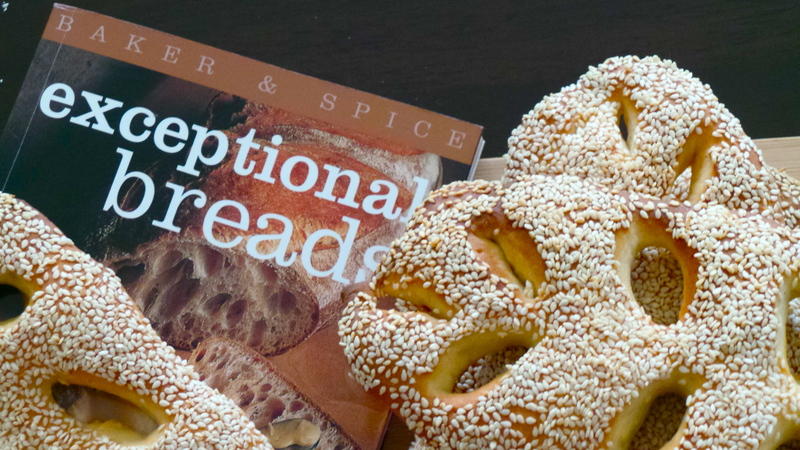 Now I know Dan Lepard will not mind me putting one of his recipes to the “Recipe Review Test” so I have a copy of his book “Exceptional Breads” and on page 124 Roquefort and walnut fougasse. 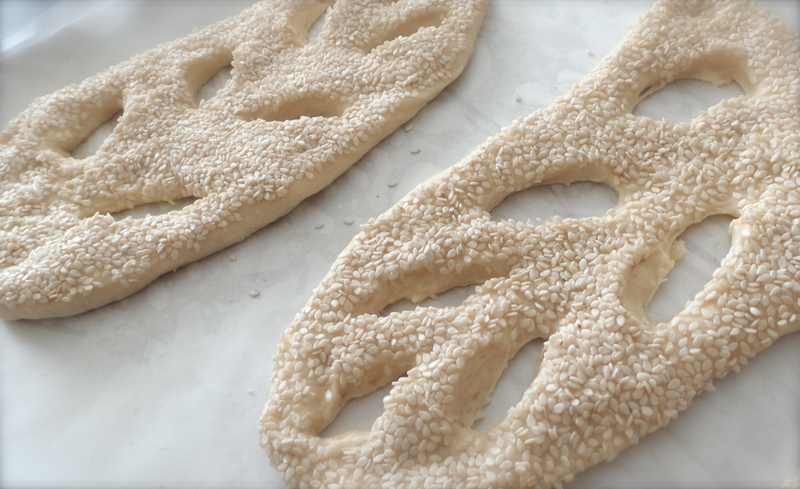 Just a little oversite on my part NO Roquefort and NO walnuts ……plain Fougasse with sesame seeds it is. The dough is a little softer and stickier but don’t be tempted to add more flour than required. 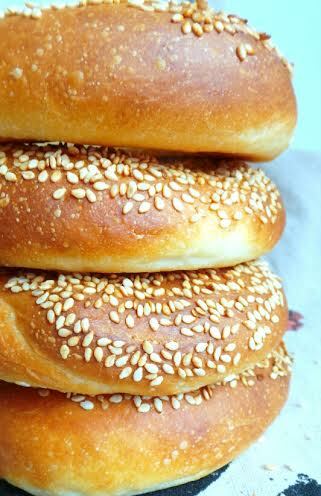 Before flipping it onto the sesame seeds brush with a little water……thats all just a little water and rest the wet side onto the sesame seeds. Lift and flip again place on a baking tray. Be a little gentle with this dough it has a lovely tender texture, I have used my kitchen scissors to cut 7 to 8 slashes to create the design just putting the tip into the dough to make the hole then just pulling it into the required shape. Put them on the baking tray and let them rest for about 20 minutes or till they have risen again about half their size again. 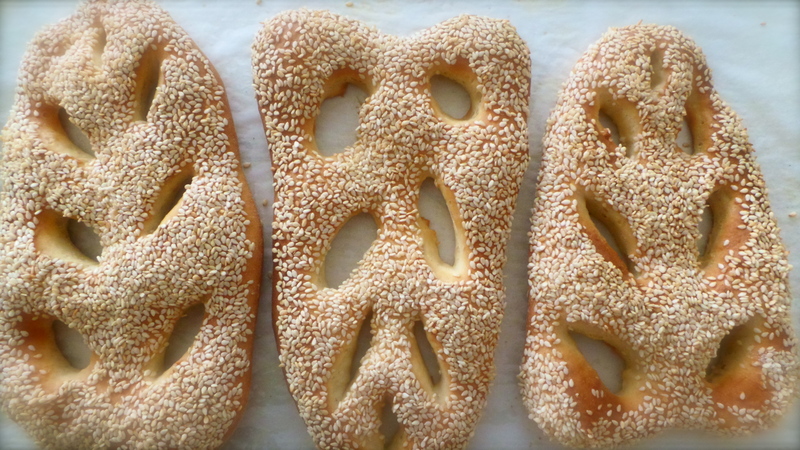 Into a preheated oven at a lovely hot 220 degrees they go to bake for a further 15 – 20 minutes and the result is an amazing golden almost soft pretzel like delight. If you can let them rest on a cooling rack after they come out of the oven you are a more restrained baker than I am. 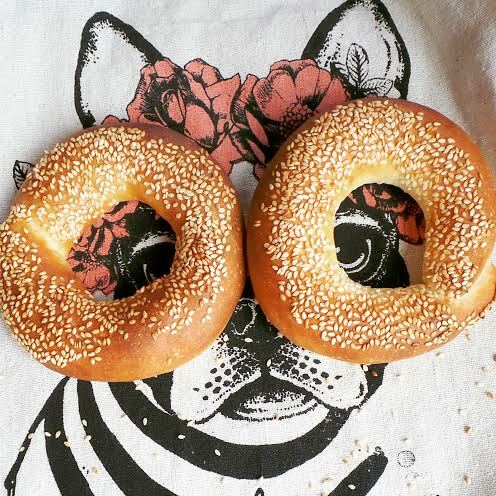 Happy baking, and thanks for the inspiration Dan Leopard. 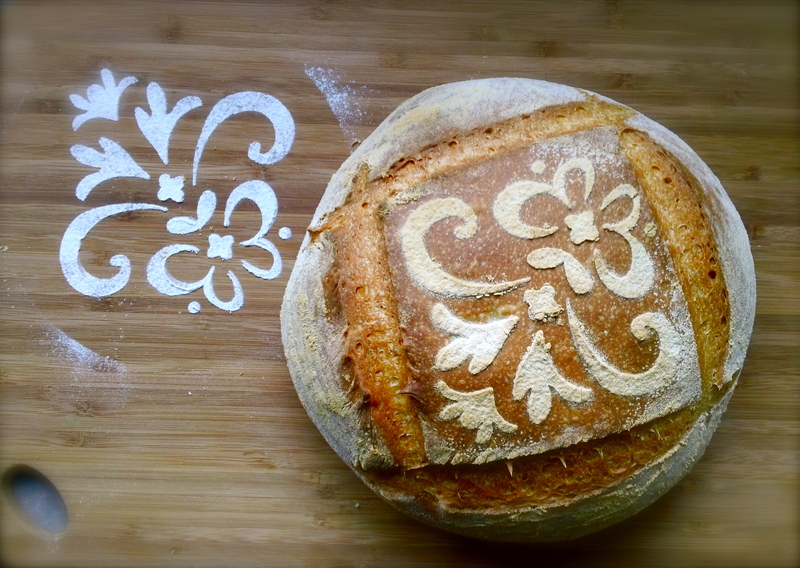 I cant help but love this episode, bread is such a staple in our home. My signature bake is a bread that I bake often and it always takes pride of place on the dinner table and equally for a picnic served hot or cold. 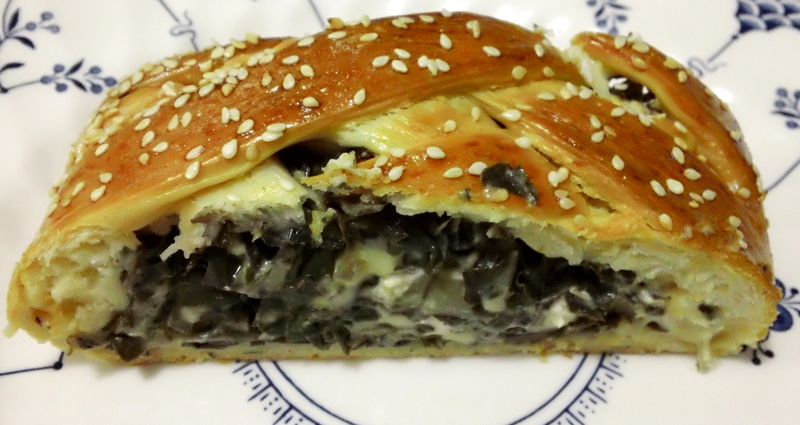 Although I have always enjoyed the traditional flavours of the Spanakopita filling I don’t feel restricted. I have added roasted pumpkin, sun-dried tomatoes and chorizo to this mix and the result has always been delicious. 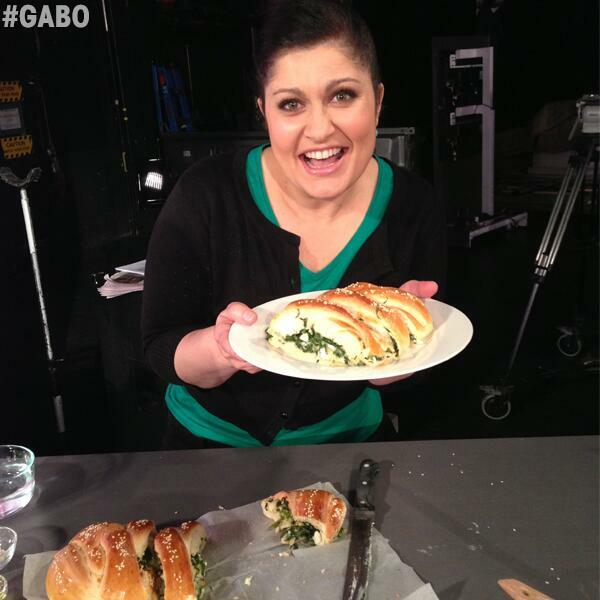 This morning I baked on the Channel 9 Mornings program, with a backdrop of Greek flags and Ben and Sarah having lots of fun smashing plates and the Zorba music playing in the background I felt a real sense of pride for my Greek heritage. A proud overwhelming feeling of joy that I am able to share this recipe with you all! 1: To make the dough. Attach the dough hook on your standard electric mixer. In the mixing blow add the dry ingredients, yeast, sugar, flour, bread improver and salt in a bowl. Mix all ingredients very well then add the water and oil. Should take about 5 minutes. 2: Mix all the dough ingredients together till the dough comes away from the sides of the bowl this should take about 5 minutes. 3: Once the dough looks elastic, place it into an oiled bowl cover with plastic wrap to prevent drying and set aside in a warm place draft and light free till doubled in size. 4: Meanwhile to make the filling. Wash the spinach leaves and remove all of the stalk. Slice the spinach taking care to remove excess moisture from the leaves place in a large bowl. Add to this the crumble the feta the pine nuts, grated cheeses chopped fresh mint and dill and thinly sliced spring onion. Mix all well. 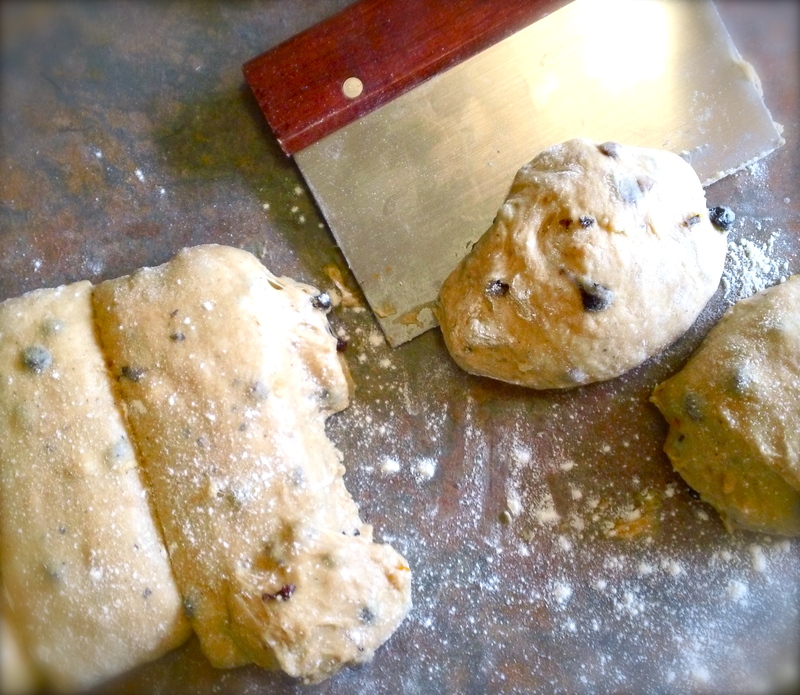 6: Turn the dough out onto a lightly floured surface or onto a piece of baking paper (the same size as the baking tray you are going to use) and flatten out the dough with the palms of your hands to form a rectangle shape approximately 40cm x 30cm allow the dough to rest for a minute before adding the filling. 7: To cut the dough ready for the braid first remember to leave a 10cm width of dough uncut down the middle of the dough as this is where the filling will sit. Cut with a knife 8 by 8 cm lines on the left and right side of the dough creating eight fingers on either side these will be used to wrap over the filling creating the braid. 8: Add the filling straight down the centre of the dough. Then pick up one strand at a time alternating as you go and criss cross pushing each braid finger into the inner edge to anchor down. 9: Line a flat baking tray with baking paper place the braided bread onto the tray and allow it to rest for a further 15 minutes (this is the proving time) lightly cover the braided bread with some plastic wrap and set aside in a warm area that has little draft or light. 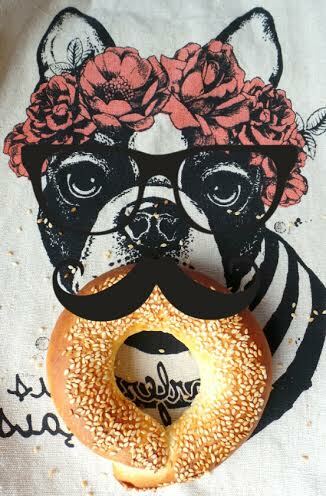 10: Once the dough has rested and almost doubled in size again brush on the egg wash sprinkle with sesame seeds and bake for approximately 25 minutes or until golden. 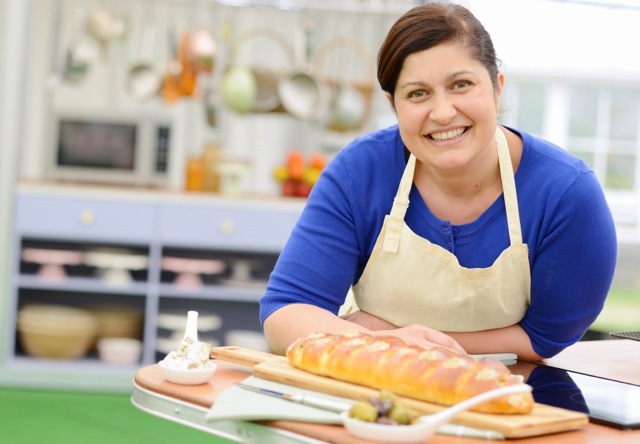 http://bakeoffau.tumblr.com/post/57511688557/marias-fist-pumping-in-bread-townbakeoffau.tumblr.comMaria’s fist pumping in Bread town! Dissolve the yeast in the warm milk, beat in the eggs, and then mix in the flour, sugar and salt. Add the melted butter and vanilla and mix until evenly combined (it is easiest to use your hands). Cover and leave in a warm place until risen by half (about 30 minutes). Combine the orange filling ingredients and chill to keep firm but still spreadable. Gently flatten the dough and cut it into 12 equal portions. Roll out each portion into a rectangle about 8 x 24cm. Spread the orange filling ingredients along the centre of the dough. 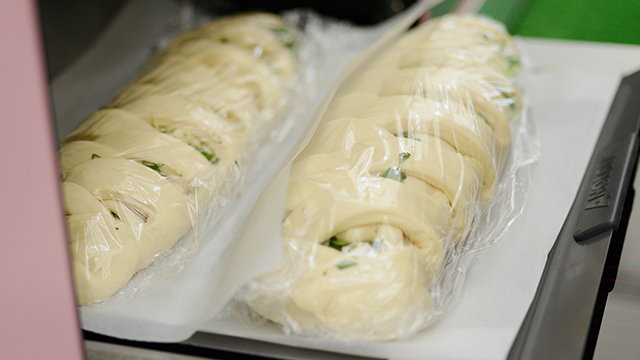 Fold the dough over the filling to encase it. To make the rosette, tie the dough into a knot, wrapping the top loose end of the knot under the roll and pushing the bottom loose end firmly into the centre of the roll. Place each rosette on the baking tray. Cover and leave somewhere warm until almost doubled (approximately 30 minutes). Towards the end of the rising time, preheat the oven to 180°C. Brush the rolls with egg wash and sprinkle with the chopped walnuts (if using). Bake for 25 minutes or until the rolls are golden and sound hollow when tapped underneath. 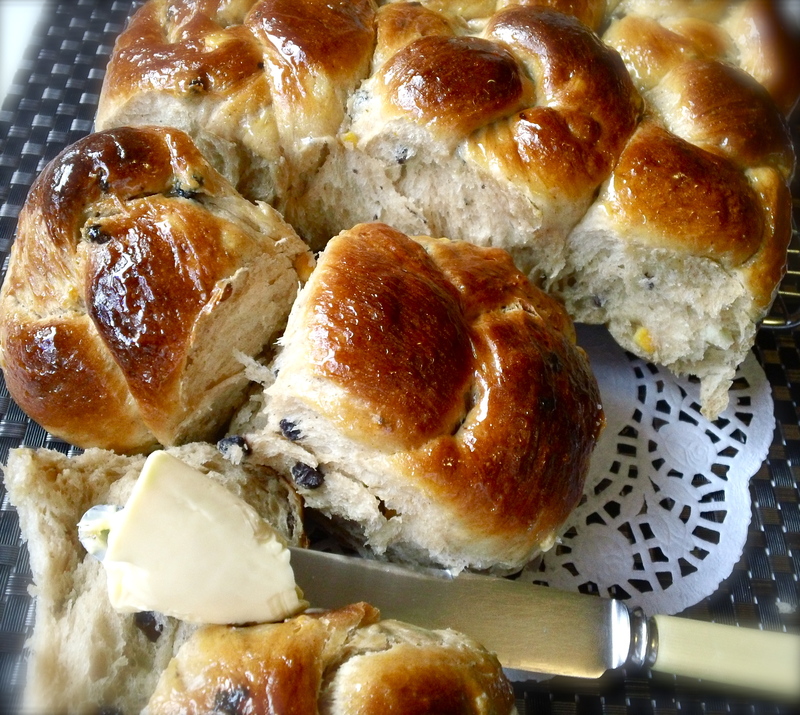 Easter Baking – Hot Cross Buns! I love “Hot Cross Buns”. This year Ive been experimenting! New recipes and lots of flavour combinations. The traditional fruit and spice will always be my favourite. 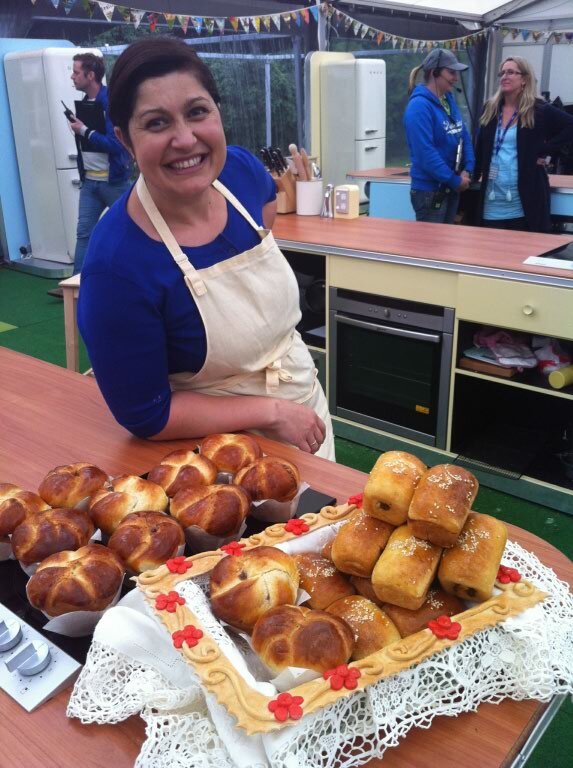 But Patricia a great baker herself reminded me of Jaffa – Orange and Chocolate, Coffee and Date and Mocha! The conversation got out of hand as the Hot Cross Bun had reached flavour sensations that would ultimately result in hunger pains! That is the beauty of baking. The ability to take a great base recipe and as Marsha Hinds would say “Make it your own”. The point here is to find a recipe, a great sweet dough that allows you to make subtle adjustments. I used Dan Lepards recipe last week and yes it was sensational but of course I made it my way with a twist. Ok I know what your thinking. “Where is the before picture”? Well Im sorry I baked this batch of dough into a six stranded platt and no sooner did it came out of the oven….it was gone. 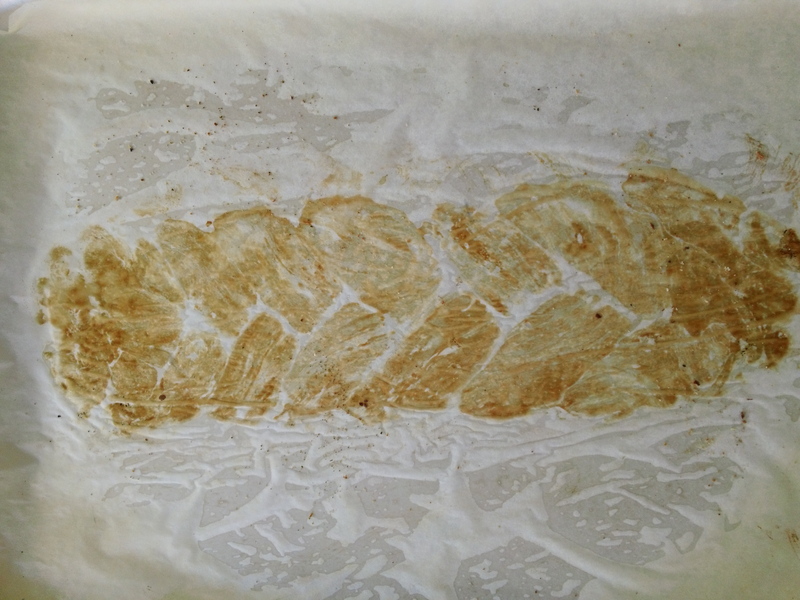 It did leave a pretty pattern on the baking paper. 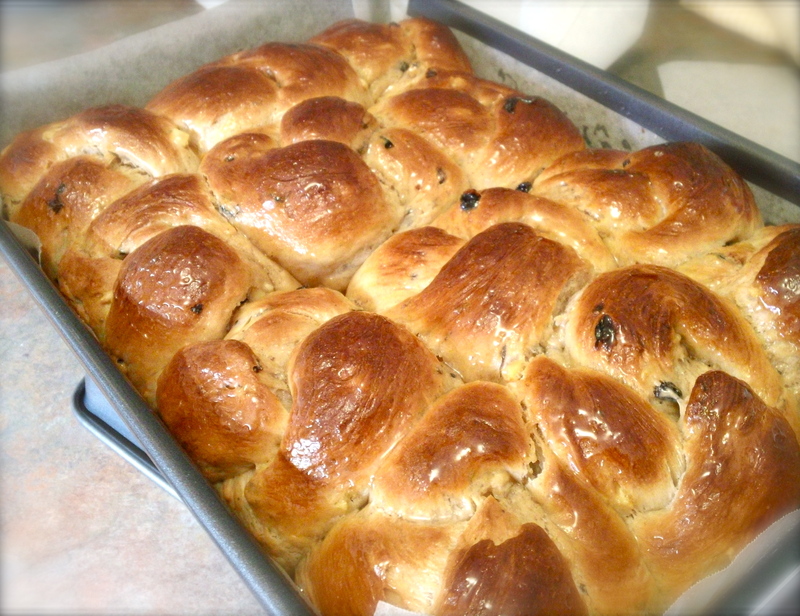 Todays hot cross buns were picture perfect. Here are some of the steps I took to make these beautiful Fruit and Spice Buns. Step 4 – To give the buns a lovely golden colour, brush them with an egg wash just an egg yolk and a couple tablespoons of milk whisked together. Step 5 – Preheat your oven to the required temperature, at least 15 minute before you need to use it. 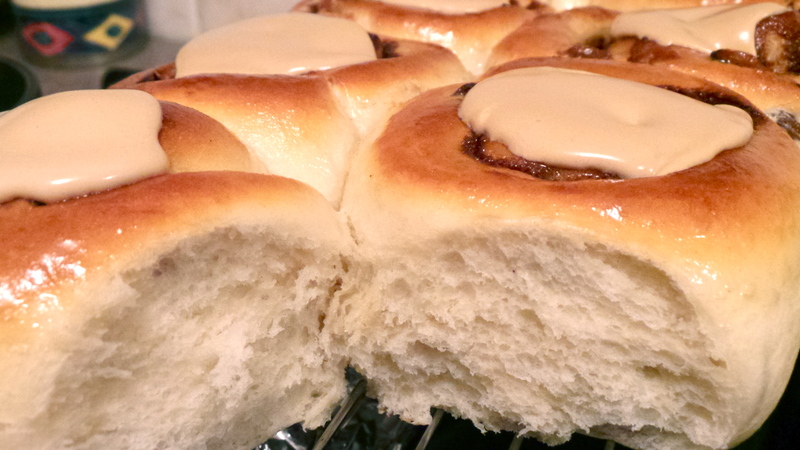 Step 6 – For a glossy finish on the buns make a sugar syrup, brush the hot syrup over the hot buns. Step 7 – Well this is the best part break apart a bun make a cup of tea or coffee and Enjoy! All this talk about Jaffa! Guess what my next batch of Hot Cross Buns are going to be!